SEREMBAN: Menteri Besar Datuk Seri Aminuddin Harun said he was confident no Pakatan Harapan (PH) leaders in Negeri Sembilan had lied about their academic background. He said so far, the state government had no problems and all seemed honest. “In my case, I admit I only have a diploma. I never said I had a degree. I feel that in Negeri Sembilan there is nothing false...the state government seem OK. 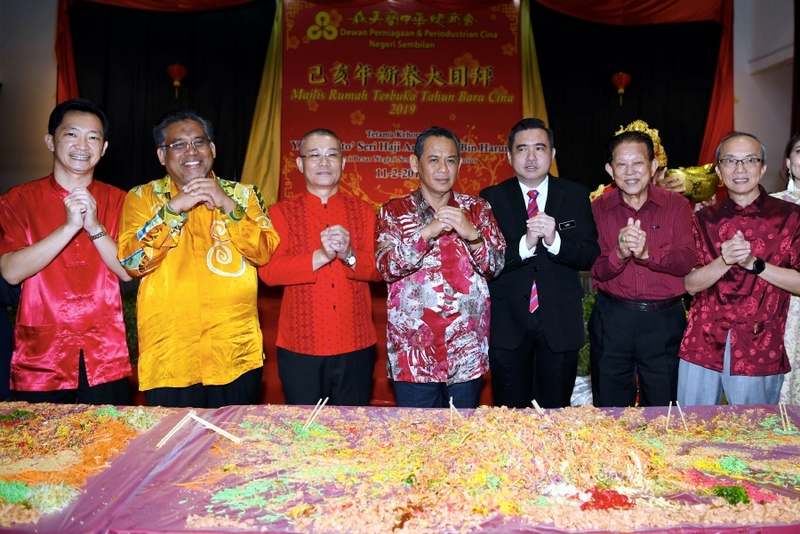 I am confident that in Negeri Sembilan everyone is OK because we know everyone,” he told reporters after attending the Chinese New Year 2019 Open House organised by the Negeri Sembilan Chinese Chamber of Commerce and Industry here today. Also present was Transport Minister Anthony Loke Siew Fook, State Legislative Assembly Speaker Datuk Zulkefly Mohamad Omar and State Secretary Datuk Dr Razali Ab Malik.